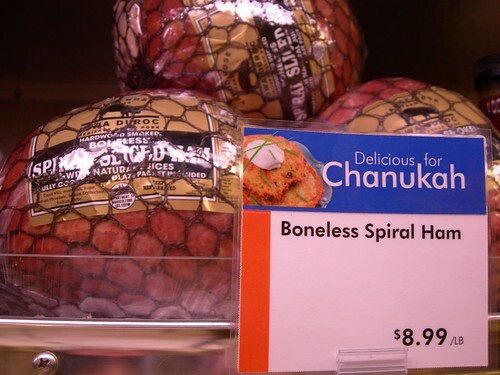 Most of you probably saw the picture circulating of the hams being advertised as "delicious for Chanukah!" On a similar note, last weekend we saw in our local Top Foods challah bread.... dyed red and green and in the shape of a candy cane. Sadly, we did not have a camera.